Forgot to mention: I passed the 150 mile point yesterday! Woot! After a wonderful night in a cabin I’m waiting on Mark, who is driving down from Northern California to attend the Kick-Off. He is picking up four people, like myself who want to attend. So I’m waiting in the lobby of a lodge where another hiker is staying. 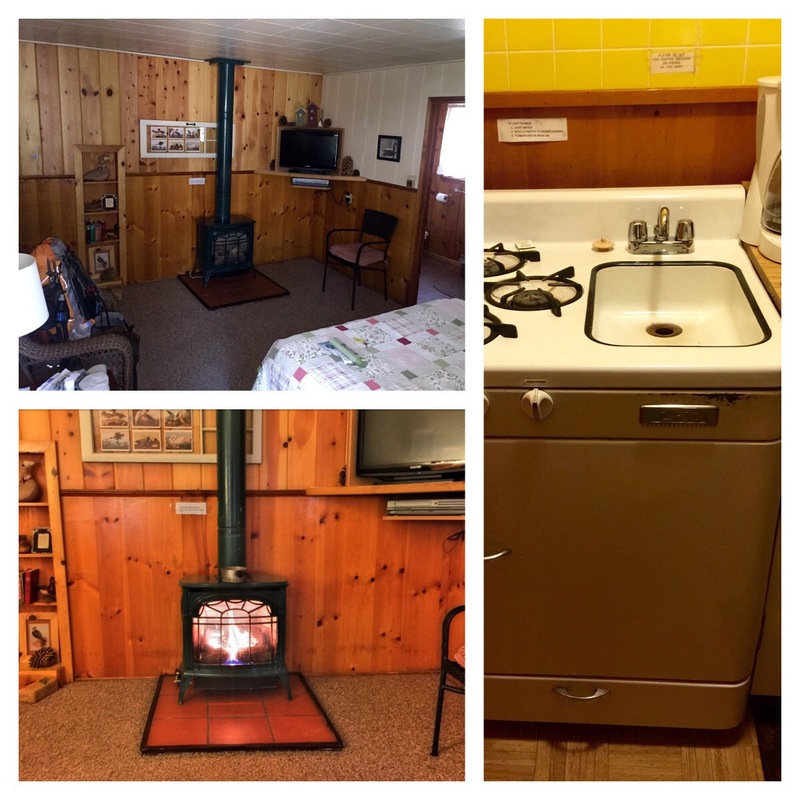 My cabin really was nice: shower, full kitchen and free standing gas fireplace for heat. The only odd thing was the stove. It was a combination Stove (burners & oven) and Sink! Never seen one before! At breakfast I met No trace and Unbreakable. The couple are Triple Crown hikers and doing the PCT again. They were being treated like Rock Stars! Triple Crown is when you complete the PCT, Appalachian Trail (AT) and Continental Divide Trail (CDT). Nice folks. I’ll post again from Lake Morena. Thanks for all the updates! Keep up your great positive attitude and enjoy the kick off event. Looking forward to more entertaining posts from you. Of all the bloggers I’m following this year, you have been the most consistent and relevant. Thanks again!